My question concerns a low AC voltage situation in a Dolphin motorhome equipped with a Smart Model 500 EMS. The voltage is a perfect 120-volts AC until the air conditioner or microwave or coffeemaker is turned on, then the voltage drops by fifteen volts or more. This is tested from a known good 120-volt, 30-amp source. The voltage outside the coach remains steady at 120-volts. The drop is only experienced inside the coach. Any ideas? Paul, your diagnosis seems to indicate a problem within the Energy Management System, (EMS), itself since the voltage loss is only experienced inside the coach. 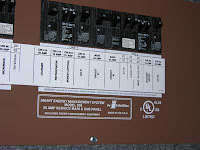 The EMS has up to four circuits that are controlled. It is safe to assume that the air conditioner is wired to one of them and I would not be surprised if the microwave and other high current devices like the coffeemaker are as well. Although this type of voltage drop is not a normal failure mode of the EMS, I suspect it in fact, could be the culprit since the voltage outside the coach remains steady and normal and you are experiencing the problem with multiple heavy-load appliances. With the power to the coach disconnected, open the EMS cover to expose the electrical connections. First make sure all the high voltage wiring is in place and tight. Check the white/neutral and bare/ground wires to make sure they are tightly secured to the neutral and ground bars. Ensure the black/hot leads are secured to the relay terminals and the circuit breakers. Such connections have been known to vibrate loose during travel. Also, make sure the shore power cord passes through the current sensor loop inside the EMS. Near the top right corner of the board you will notice a fuse, (not shown in drawing). Remove the fuse and inspect it to make sure it is not blown. It is probably a 3A/12V fuse. Near the fuse you will see a multi-pin connector. Unplug the connector and probe pins 1 and 2 (the two uppermost pins) on the harness end and make sure at least 12-volts DC is measured going into the EMS electronics module. If not, check its fuse at the 12-volt DC distribution panel. 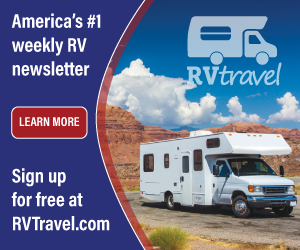 If the fuse tests fine and you have a healthy 12-volts DC entering the module, it’s probably time to have the complete EMS system tested by a qualified RV service technician. A fifteen volt drop to 105-volts AC is approaching low enough to cause damage in the air conditioner. There is the possibility you may have an internal problem with a relay or the board itself.